The Chicano movement encompasses a broad cross section of issues—immigration; civil, political, and human rights; educational opportunities; and the development of a communal history. With San Diego’s proximity to the world’s most traveled border, issues that arise in San Diego arise in other border communities. 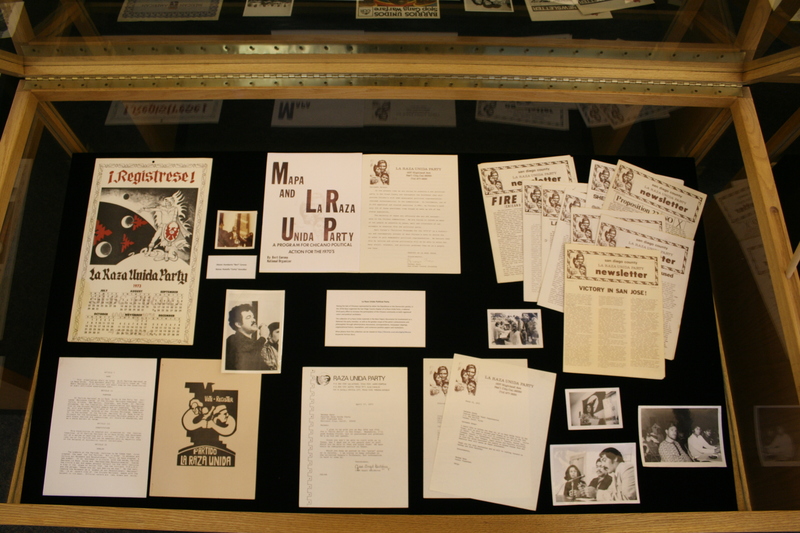 The events, issues, and activities recorded in the Baca collection document the impact of these issues on people living in the San Diego communities during the 1960s, 70s, and 80s. Many of the same issues continue to be experienced in San Diego, across the U.S.-Mexico border and throughout the nation. 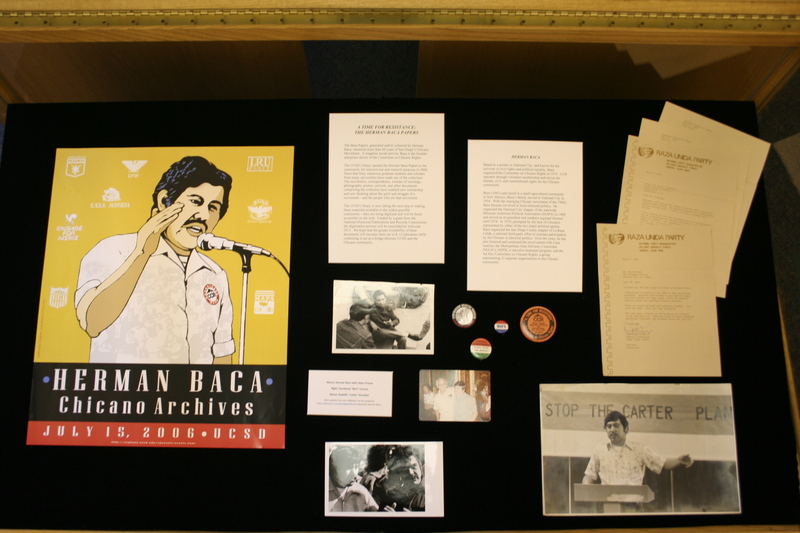 The Baca Papers, generated and/or collected by Herman Baca, chronicle more than 40 years of San Diego’s Chicano Movement. Herman Baca was a young man living in National City, California in the 1960s who became a prolific Chicano activist, political organizer, printer, and founder and longtime chairman of the Committee on Chicano Rights (CCR). He is known for his community-based grassroots organizing, especially for civil rights and political and judicial equality. 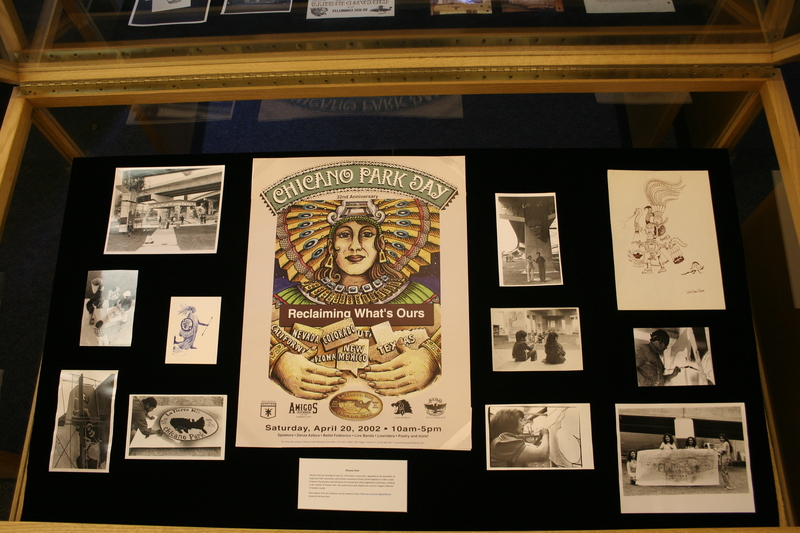 Photographs courtesy of UCSD Mandeville Special Collections Library. A Campus Information kiosk is on the right. Visitor parking information/permits & campus maps available at Campus Information kiosks. If you continue on, North Point Drive becomes Hopkins Drive and curves to the right. Metered parking is on your right at the far end of Hopkins Drive. Geisel Library is the large, tiered, glass/concrete building. Additional parking/permits are available in the Hopkins parking structure at the corner of Hopkins Drive & Voigt Drive. City bus routes 30, 41, 101, 150, 201/202 and 921 all go through UCSD. Exit at Gilman/Myers stop for Geisel Library. This entry was posted in Attractions, Events and tagged chicano papers, exhibit, ucsd. Bookmark the permalink.